“My daughter has been doing her own community service projects since 2014. I want a cartoon drawing of her with a wagon full of boxes. She has held three book drives, a sock drive and a toy drive so far and donates the items to places in Winchester, VA. We call her business ‘The Little Helpers'”. While organizing these types of donation drives is an awesome thing, it is SUPER awesome when a young child is making this happen. Sarah will be a true asset to the world as she grows older. You can find out more about Sarah and The Little Helpers by checking out her group Facebook page. 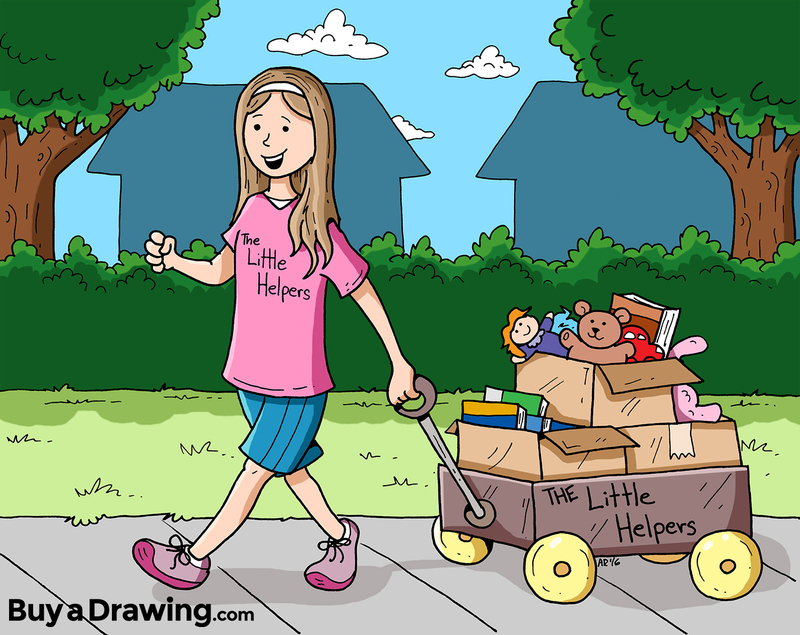 Sarah of The Little Helpers with her original cartoon drawing.